When Mr. Mooney buys his wife Irma a huge diamond ring, foolishly he allows Lucy to try on a $6,000 anniversary ring. Naturally, Lucy manages to get the ring stuck on her finger. Mooney gives her a tranquilizer to relax her and hopefully get the finger to release its gem. Unfortuanately, the pills make her loopy and Mooney now must take an almost unconscious Lucy home to recover the piece of jewelry. 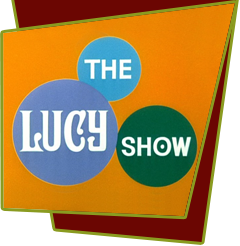 Special Notes: The plot-line about Lucy getting a ring stuck on her finger was reused in the Here's Lucy episode #49, "Lucy Meets The Burtons".